Anglo American’s diamond mining giant De Beers has raised its diamond production forecast to 35 million to 36 million carats in 2018 – “the highest level in a decade since demand was battered by the global financial crisis of 2008”, according to IDEX Online. The previous guidance spoke of 34-36 million carats. 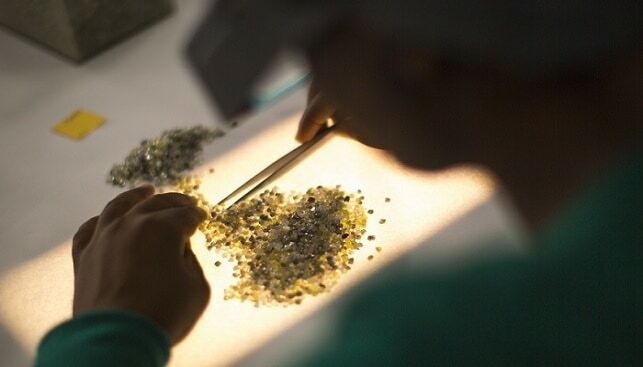 According to De Beers, in 2019, production levels will decline to 31-33 million carats compared with the previous forecasted 32 million carats. The reason – the declining open pit production at the Venetia mine in South Africa and the closure of the Victor mine in Canada. In 2020, De Beers is forecasting production of 33-35 million carats; for 2021, production is forecasted at 35-37 million carats. In its most recent production report for Q3 2018, De Beers said that diamond production fell 5% to 8.7 million carats “due to planned volume reductions in Botswana (Debswana) and South Africa (DBCM)”.